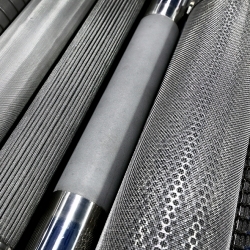 Porvair Filtration Group is continuing to research and develop new materials and material forms that are technically differentiated for use in challenging filtration and separation applications. We boast specialist fabrication skills and techniques in all of our manufacturing sites around the world as well as extensive cleanroom facilities on two sites. We operate high levels of quality control under the umbrella of ISO9001, this encompasses the requirements of PD5500, ASME VIII, EN13445 and PED for the pressure vessel build.